Roommate Scott presented Valentino with a plush duck. Our new dog attacked his new toy with a vengeance, halting his chewing and pawing only momentarily on the first of its quacks, but of course continuing in hopes of more squeaking. This entertainment continued for a good half hour, during which time Valentino managed to kill the squeaker inside the quacker. Now bored with the duck, Valentino decided to nap. When he woke, we tried playing toss with him with his duck toy but he showed little interest, other than an occasional nudge or chew throughout the day. 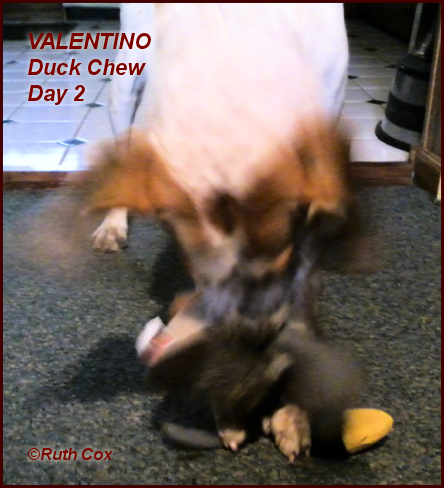 After breakfast and a walk the next day, followed by a short morning nap, Valentino suddenly pounced on his duck squeaker toy. I just happened to have camera in hand so I was able to snap a photo or two of Valentino's vicious attack on the toy. It's a good thing, too, that I was right there to witness, capture on camera, and remove the lame duck from Valentino's grip. Otherwise, my dog might have swallowed a piece or two of the toy and that would certainly not have been a good experience for any of us. 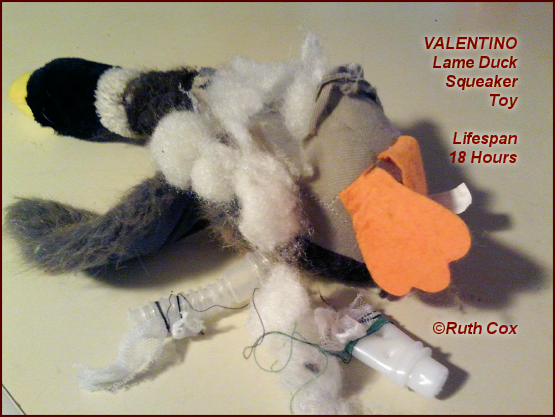 It took Valentino about 18 hours (less than an hour of play time) to turn his plush toy into a lame duck of destruction! 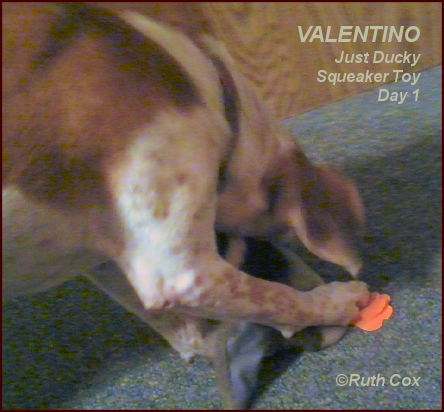 While some dogs may do just fine with these Plush Duck Squeaker Toys, from this first experience with our dog Valentino we have decided to stick with sturdier play toys for him. I also learned, thus highly recommend, that dogs need supervision when playing with their toys—much like children. Next up on our dog toy list? I will soon be publishing my rave review of the KONG Extreme Dog Toy. 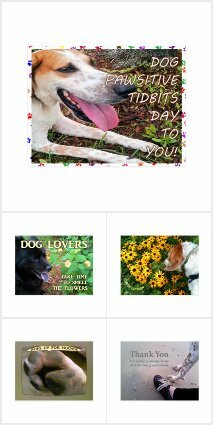 Naturally, I am open to suggestions from my readers on safe toys for my hound dog, Valentino. 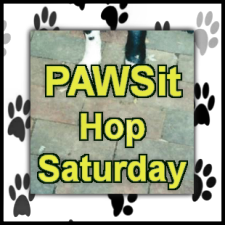 What toys work best with your dogs?